There is nothing more enchanting than a sail boat, these vessels evoke the romance of a bygone era. For those looking for a more adventurous way to explore the Islands, a sailing boat is the choice for you. 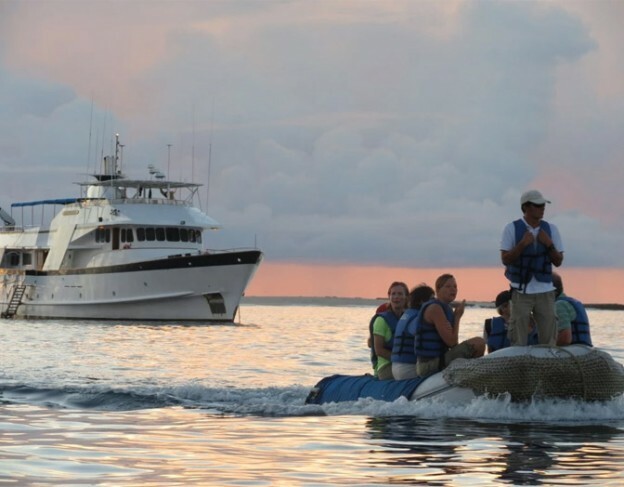 Experience a unique voyage with a small group of like-minded people. Although the cabins tend to be slightly smaller than other cruise options the charm and character of these vessels more than make up for this. 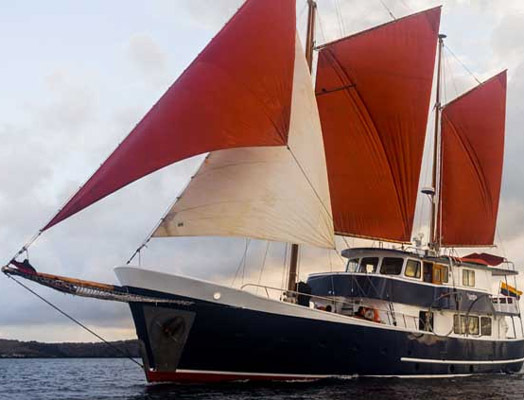 The Beagle is a classic traditional steel hulled motor yacht offering first class Galápagos cruising. This yacht offers comfort, accommodating 13 passengers in six air-conditioned double cabins and one single all with an en-suite hot shower and toilet. 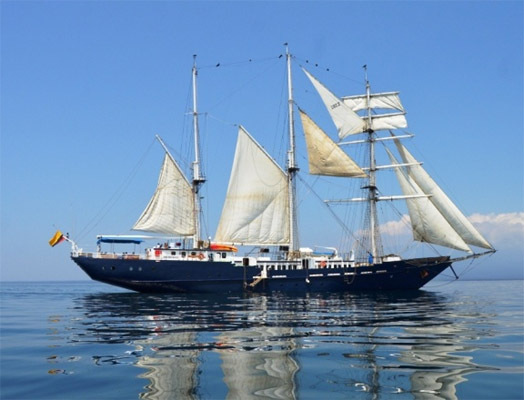 Mary Anne is a 3-masted ship specifically built to voyage in the Galápagos Islands. 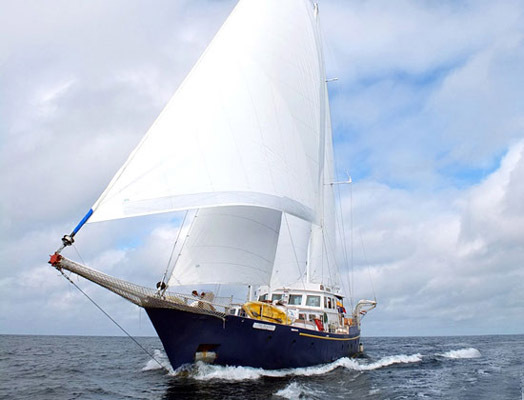 She is a traditional sailing vessel, spreading over 3,000 square feet of sail, on masts towering over 100 feet above the deck and offers 12 cabins. Public areas include the dining room, a wood-panelled lounge with bar, a library with TV, and open air dining on the Sun Deck. 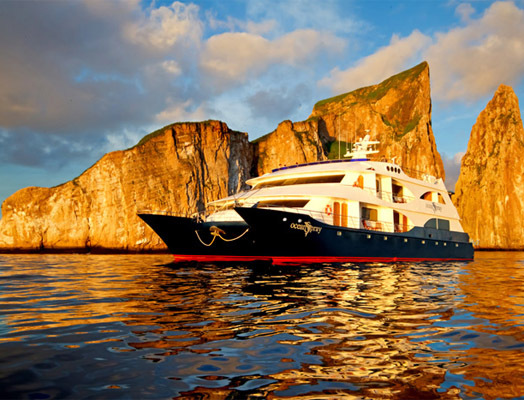 The M/Y Samba accommodates 14 guests, a perfect number to enjoy the magic of the Islands with privacy and flexibility. Her seven cabins are split over three decks, which also feature an outside dinning area, a dining room and a library.